Liking the inspiration on this site? We've got more! We're working hard to keep ideas and inspiration flowing with recent home images, renovation projects and more on our Pinterest Boards and Houzz page. Check out this additional content and let us know what home trends, materials, styles you want to see more of as you plan your Oakley dream home. 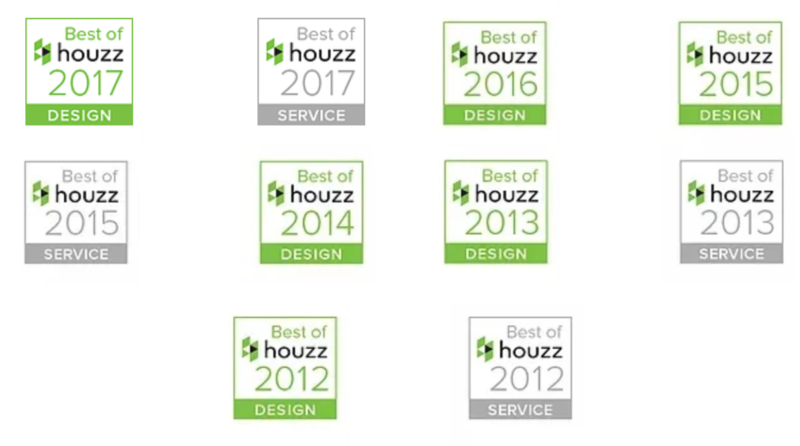 Over the years, the Houzz community has taken notice and appreciates the custom home design content, awarding Oakley Home Builders with 10 Houzz Awards.